Donald Trump campaigned on keeping jobs in the U.S. and six in ten Americans expect he will keep a significant number of U.S. jobs from moving overseas. Just under half think he will be able to get big money out of politics. About a third think he will build a wall along the U.S.-Mexico border (something six in ten Americans oppose), or defeat ISIS. Overall, just 39 percent expect Mr. Trump will keep most of the promises he made during the presidential campaign, while over half the public thinks he will not keep those promises. Expectations are that Mr. Trump’s policies will be most advantageous for large corporations, the rich and white Americans, and will be more detrimental to racial minorities and women. Fifty-nine percent of Americans oppose building a wall along the Mexico border; 37 percent favor that. Views divide along party lines: 65 percent of Republicans favor building a wall, while 79 percent of Democrats oppose it. 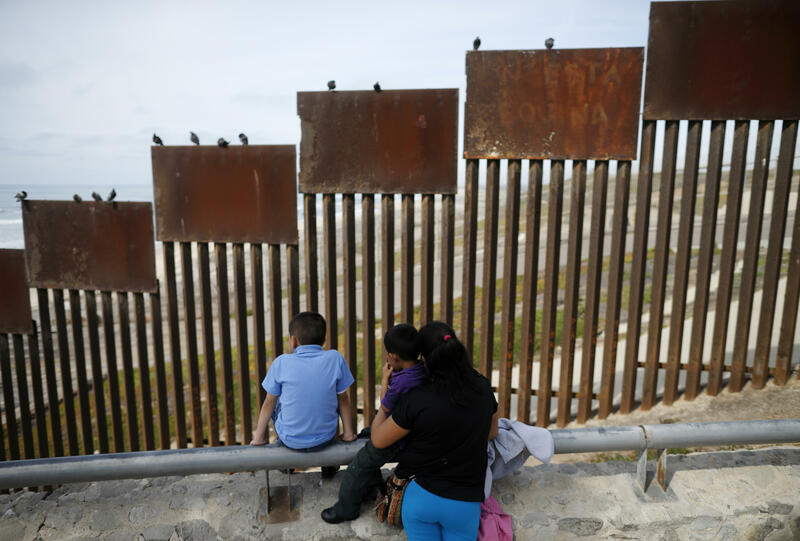 Seventy-nine percent of Americans expect that if a wall is built along the border, the U.S. will ultimately pay for it. Just 14 percent expect Mexico will pay, as Mr. Trump has claimed. Sixty percent of Republicans, and 91 percent of Democrats, think the U.S. will pay for the wall if it is built. Mr. Trump intends to step down from the positions he holds at the Trump Organization and turn over operations to a trust controlled by his adult sons, but does not plan to give up ownership of the organization. Forty-six percent of Americans think these steps are adequate to prevent any conflicts of interest he may have during his presidency, while 50 percent think they are not adequate. There are large differences between Republicans and Democrats. More generally, Americans are divided as to whether Donald Trump will serve the interests of his family and businesses, or those of the American people, when he becomes president. Partisan differences also run large on this question. Among Republicans, 81 percent say that Mr. Trump will make decisions to further the interests of the American people, compared to only 19 percent of Democrats who believe the same thing. Mr. Trump has named his son-in-law Jared Kushner as senior adviser to the president. In general, 70 percent of Americans think it is not appropriate for presidents to appoint family members to senior White House positions, while just 26 percent think that is appropriate. Mr. Trump has yet to release his income tax returns, something that candidates for president generally do. Most Americans (57 percent) think it is necessary that he do so, but on this question as well, the public is divided along party lines. Twenty-nine percent of Republicans say it’s necessary for him to release his returns, while 80 percent of Democrats say it’s necessary. Americans are now split in their views of the Affordable Care Act: 48 percent approve of the law, while about as many, 47 percent, disapprove, including 32 percent who disapprove strongly. Nevertheless, the percentage that approves of the law is the highest it has been since the CBS News Poll began asking about it nearly seven years ago. Sixty-one percent of Republicans strongly disapprove of the ACA; 44 percent of Democrats strongly approve. Just 22 percent of the public now think the health care law should be repealed entirely, the lowest that has been since the question was first asked in CBS News Polls in 2013. Among the 22 percent of Americans who want to see the law repealed, 47 percent want the law to be repealed immediately, while half – 50 percent- think it should be repealed only after Congress has agreed on a new health care law to replace it. Six in ten Americans are very concerned that if the law is repealed before a replacement is enacted, individuals currently covered by the law would not have health insurance. Another 24 percent are somewhat concerned about that. After a contentious election, 56 percent of Americans are optimistic about the next four years with Mr. Trump in the White House, but that’s the lowest level of optimism for any president-elect in CBS News polling going back to Jimmy Carter in 1977, when CBS began asking the question. Thirty-nine percent are pessimistic – a record high. What’s behind these numbers is a starker partisan divide compared to views of previous presidents-elect. Past presidents have received much more optimism across party lines. Republicans are especially optimistic about Mr. Trump in the White House (87 percent), while Democrats are pessimistic (62 percent), but eight years ago majorities across partisan lines were optimistic about President-elect Obama. After George W. Bush’s 2000 election, nearly half of Democrats – 47 percent - were optimistic about George W. Bush taking office, compared to just 32 percent who say that about Trump today. Americans’ expectations about what kind of president Donald Trump will be are also more negative than expectations for his immediate predecessors. Thirty-six percent of Americans think Donald Trump will be a poor president - far higher than either Barack Obama (4 percent) or George W. Bush (12 percent) just before each became president. Thirty-five percent think Mr. Trump will be a very good or good president, and another 23 percent say he will be average. Prospects for the kind of president Donald Trump will be also exhibit a partisan divide. Most Republicans expect Trump to be a very good or good president (71 percent), compared to just 9 percent of Democrats (67 percent think he will do a poor job). Looking back, Republicans about Barack Obama eight years ago. Bringing change to Washington was central to Mr. Trump’s candidacy, and a majority of Americans (59 percent) think he will do that. Most also view him as a strong leader (55 percent), but there are areas of concern. More than six in ten Americans are uneasy about how Mr. Trump would handle an international crisis (64 percent) and most think he will divide the country (61 percent) rather than bring people together. As Mike Pence prepares to become Vice President, more Americans view him favorably (29 percent) than unfavorably (21 percent), but like many incoming VPs before him, many are undecided or don’t know enough about him to have an opinion. Incoming First Lady Melania Trump plans to spend part of Donald Trump’s first year in office in New York while their son finishes school. Americans are split in their overall views of Mrs. Trump; more than half are undecided or don’t know enough about her to have an opinion. Previous incoming First Ladies were viewed more positively. After Donald Trump is sworn in as president, the Republican Party will control both the White House and Congress, leaving the Democratic Party in the minority. Eight in 10 Americans want Democrats in Congress to try and work with Mr. Trump and Congressional Republicans to get things done. During the presidential campaign, Donald Trump and Congressional Republicans didn’t always see eye-to-eye. Looking ahead, Americans think Republicans in Congress will have more influence than Donald Trump over what gets done in Washington. Overall, the public continues to give Congress overwhelmingly negative ratings, but 24 percent now approve of the job Congress is doing, up from 15 percent before the election and the highest it has been since September 2013. This poll was conducted by telephone January 13-17, 2017 among a random sample of 1,257 adults nationwide. Data collection was conducted on behalf of CBS News by SSRS of Media, PA. Phone numbers were dialed from samples of both standard land-line and cell phones.